We know that many of you share in the hope and recognize the need for new approaches in working with parents and schools when fundamental differences of perspective occur regarding special education plans/program. On behalf of ASE, the SPEDCO Committee, The SpedEx Planning Committee and the Bureau of Special Education Appeals (ESE), we are delighted to announce the launch of an innovative pilot project called SpedEx discussed at Special Education Day Celebration Events over the past three years. We are most appreciative of the Department of Elementary and Secondary Education (ESE) support of this innovative/new approach which fosters trust building between parents and schools. This is a time specific process- for your reference, please see the attached documents regarding the SpedEx Model and the SpedEx Pilot Process. The Special Education Expert Dispute Resolution Model ( SpedEx) Pilot project, offers ( through a voluntary capacity) a research based dispute resolution approach that targets what the child needs, moves quickly through the process, is child centered, user friendly and provides (as one of the key features of the process) the innovative ( post resolution) child observation conducted by the SpedEx Expert to ensure the student's needs are being met. Questions regarding accessing the above website should be directed to Richard Connolly, Director of the Bureau of Special Education Appeals- he can be reached at email : rconnolly@doe.mass.edu. We encourage and urge you to share this information with friends and colleagues- this is a wonderful new opportunity enhancing collaboration between parents and schools with respect to complex special education matters . The SpedEx Model Pilot Program has the potential for providing students with special education needs greater school successes. Thank you for all that you do in serving our students and our school communities. As the lead association in Massachusetts representing special education administration, The Massachusetts Administrators for Special Education strives to support and advocate for best practices for Massachusetts’ special education administrators in their charge and responsibility to meet the needs of students with disabilities who are eligible to receive special education within the legal standard of a free and appropriate education (FAPE/LRE). The Executive Board of The Massachusetts Administrators for Special Education sanctions a set of “Guiding Principles” of practice for special education administrators in advancing their advocacy on behalf of students with disabilities. The Executive Board supports these “Principles” as a strong measure of commitment to all Massachusetts students with disabilities who are eligible and entitled to special education programs and services. Leading and encouraging the public school district in building capacity for program development, resources for students and staff, consistent implementation of the standard of FAPE within the least restrictive environment, and communicating with regional legislators in promoting understanding and needs of special education. Understanding general education and the connections to special education, including current research-based practices for special education instruction. Participating actively in ASE membership activities and other professional associations to advance knowledge, commitment and needs of special education administration. We write to inform you that the ASE/DSS June 20th Initiative Event, at the Holiday Inn, Marlborough MA, is canceled. Due to an unforeseen conflict in the schedule of the Department of Elementary and Secondary Education Commissioner Chester’s schedule a reschedule date will take place during the first half of the upcoming 2008-2009 school year. The new date for the ASE /DSS Initiative will be announced during the summer by email and posted on the ASE Website and accessed in the section titled “NEWS”. The Commissioners look forward to continuing the partnership between schools and DSS in the mutual effort to better serve students and families and are supportive of creating the conditions for improving collaboration with your participation. ASE extends very best wishes to Commissioner Chester, our new Commissioner of Education; we welcome him to our school community. We look forward to working with Commissioner Chester and Commissioner McClain and you, in the coming year, on this most important work and essential partnership. Your input is essential, very much needed and very much valued in the effort to build capacity for school districts and DSS when we mutually serve students and families. We thank all of you who registered for the June 20th Program. On behalf of ASE, we extend best wishes to you for a wonderful summer and look forward to seeing you in the new academic year. Paul Stracco, President, ASE Carla B. Jentz, Executive Director, ASE"
On behalf of ASE, we forward information recently received from Paul Reville , Secretary Designate of Education regarding the implementation of the remedy_ Rosie D. v Romney . Through a partnership with the Executive Office of Education, the Department of Elementary and Secondary Education and MassHealth, an effort is underway to set the stage for future conversations and collaborations regarding the implementation of the remedy in Rosie D. v Romney. ASE is encouraged by this effort and pleased to have information to forward to you at this time from Secretary Bigby and Secretary Designate of Education Paul Reville. Please see the attachment regarding important information about well-child and behavioral health services now available through MassHealth. Please review and share with your school staff . We are anticipating additional information from Secretary Designate of Education Paul Reville, in the coming months and start of the new school year, on the Rosie D. Remedy effort and how to work together to ensure the best possible care and services for children and youth in the Commonwealth. On behalf of the Executive Board of ASE, we are pleased to announce the next ASE/DSS Statewide Initiative. 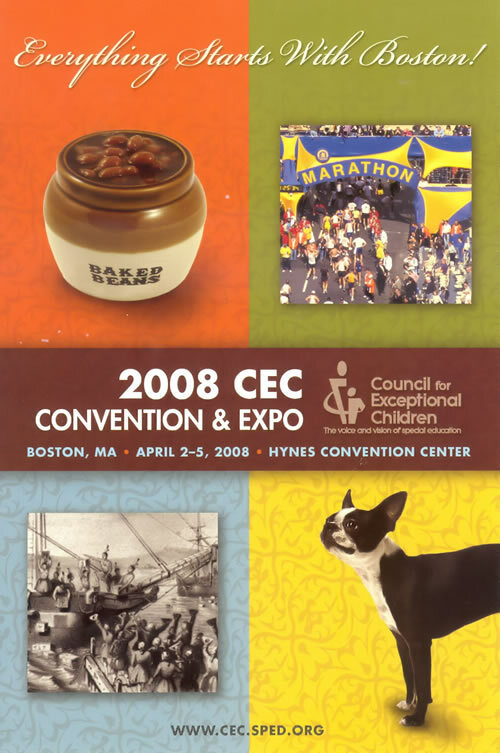 The event will take place on June 20th, 2008 (8:00am – 1:00pm) at the Holiday Inn in Marlborough, Massachusetts. The ASE/School Collaborative Effort with DSS has received strong commitment and support from DSS Commissioner Angelo McClain. Commissioner McLain is dedicated to working collaboratively to support families and students in Massachusetts to achieve better outcomes for school success. Commissioner McLain will be joined by two of our State’s education leaders. We are proud to welcome the new Massachusetts' Education Commissioner, Dr. Mitchell Dan Chester to this event. His attendance, along with Associate Education Commissioner John L.G. Bynoe III, further strengthens the joint efforts between schools and DSS in working together to serve our students. 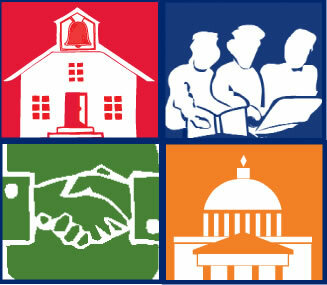 There are many new and important capacities unfolding within our state government agencies which will require new thinking, new directions and new commitments to interagency and school partnerships. The June 20th ASE/DSS Statewide Initiative brings renewed hope for continued collaboration and cooperation as we work together to share concerns and find new pathways to meet the needs of our students and families. We thank Commissioner McClain, Commissioner Chester, and Associate Commissioner Bynoe for their participation and for their strong support of a sustained commitment to collaboration. With a “new beginning” in state government, this is wonderful opportunity for you and other service providers from your school districts to attend this event. We encourage you to invite other members of your school community - school guidance/school adjustment counselors and school psychologists to attend and become part of the ASE/DSS Statewide Initiative. Expanding the capacity for school personnel participation in the process has great potential for more successful outcomes as we work with complex student and family needs. Fax registrations directly to the ASE Office (617-354-4926) as soon as possible. Space will be limited - registrations received after June 11th may not be able to be accommodated. Attached please find the June 20th program and the registration form. If needed, the Program and Registration form can be accessed at our ASE website: www.asepage.org/sd.html. OSD FY 2009 price information (effective 7/1/08) is available at: Generally, programs have received a 2.47% increase over last year. 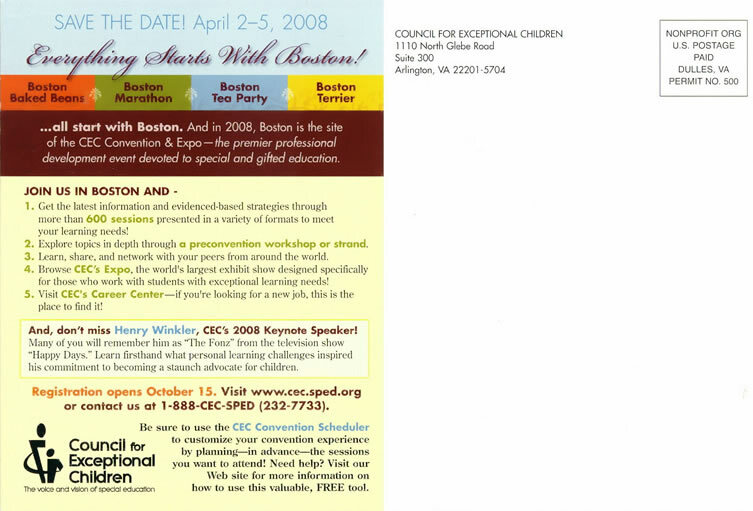 ASE Conference Dates: October 26th, 2007(Holy Corss); March 7th, 2008(Holy Cross); June 6th, 2008(Beechwood Hotel). BOSTON—Tuesday, January 15, 2008—Governor Deval Patrick announced today that his budget for Fiscal Year 2009 will include a $368 million increase in education funding, including a record level of school aid to cities and towns and significant increases in Universal Pre-K, full day Kindergarten and Extended Learning Time programs. The Administration’s budget provides $3.9 billion to cities and towns through Chapter 70 state aid, a $223 million increase over FY08 that will result in additional funding for every school district in the Commonwealth. The Governor’s FY09 proposal to be filed later this month will also include a $51 million expansion for high priority programs including universal pre-K, Kindergarten Expansion Grants and Extended Learning Time Grants. Key to the Governor’s plan for education reform is an extended school day that affords students the opportunity to participate in enrichment programs and allows teachers more time for planning and coordination. For the second year in a row, the Governor will propose doubling the amount of funding for Extended Learning Time grants, including $26 million total in his FY09 budget. This additional $13 million will allow over 8,900 students to participate in a lengthened school day. In line with the Governor’s vision for an education system that begins before kindergarten, the FY09 budget will include a $15 million increase in funding for Universal Pre-Kindergarten, a 200 percent increase over FY08. This funding would allow for an estimated 892 new classrooms to prepare roughly 14,320 children for the school years ahead. The budget also includes $43.2 million to transition an estimated 440 half-day kindergarten programs to full day. This $8 million expansion brings the Commonwealth significantly closer to universal full-day kindergarten. Currently, there are 1,050 half-day kindergarten programs statewide. While Massachusetts consistently ranks at the top in education nationwide, a persistent achievement gap remains. To address that shortfall, the Governor will propose investing an additional $4.5 million in chronically underperforming schools and districts. This 49 percent increase in funds will allow the Department of Education (DOE) to work with the “Commonwealth Priority Schools” to help students and teachers overcome the significant challenges they face in improving academic performance. The budget will also include an additional $2 million to help close the achievement gap through MCAS Low-Scoring Student Support programs. This additional funding will allow DOE to expand student academic support at the elementary, middle and high school levels. The education-related items included in the Governor’s FY09 budget proposal were informed by the ongoing work of the Readiness Project, a 200-member group of education, business and community leaders established by the Governor last summer to develop a comprehensive 10-year plan to reform the state’s education system. That plan is expected to be completed this spring. Yesterday, the Governor received an update from the Readiness Project, which included four areas identified by the Readiness Project Leadership Council as areas for ripe for investment in the Governor’s budget. Those areas include: early education and care; expanded teaching and learning time; student progression from high school to higher education, work and society; and the quality and supply of educators and administrative leaders. The Governor’s entire budget will be filed later this month. MSB/Case e Murphy, Lamere & Murphy, P.C. ASE is honored to have the sponsorship support from Cambridge College, eSped, Kurzweil Educational Systems, MSB/Case e, Murphy, Lamere & Murphy, P.C., Northeastern Institute of Education, the Perkins School for the Blind, Public Consulting Group, Inc. and X-2 Development Corporation. Each of these organizations provides honorable, credible and effective expertise in their field. A Very Special Thanks to: Dr. Anthony J. DeMatteo, Dean (Cambridge College), George Dhionis (eSped), Nancy Avery and Cindy Kerrigan (Kurzweil Educational Services), Chris Miroff (MSB/Case e), Mary-Joanne Reedy, Esq. (Murphy, Lamere & Murphy, P.C. ), Carol Doherty and Dr. Nancy Mehlem (Northeastern Institute of Education), Christopher Underwood (Perkins School for the Blind), Lorraine McLaughlin (Public Consulting Group, Inc.), Marcy Dwyer Lamlein (X-2 Development Corporation) and to the Board of Directors and/or Partners of each organization for their support to ASE.